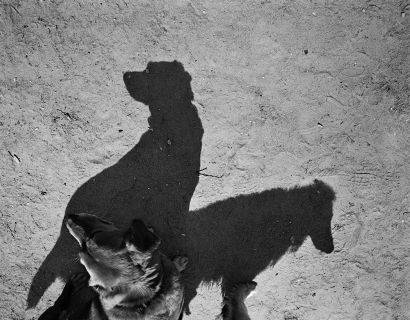 Steven Kasher Gallery is proud to present Thomas Roma: The Plato’s Dogs Trilogy. This exhibition includes 80 black and white photographs and from three different series, which together serve as a biography of Roma’s Brooklyn. 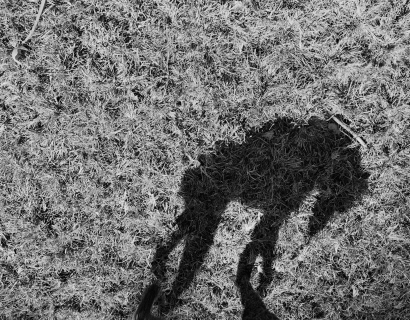 In the Plato’s Dogs photographs, dog shadows take on mythic status. In Higher Ground, shot on the elevated trains that run through the heart of Brooklyn, Roma captures the pockets of in-between-time that fill the lives of commuters. The photographs from The Waters of Our Time, are the most self-reflective of the three bodies of work. The Waters series is deeply personal and spans Roma’s entire career, beginning with a photograph from his first roll of film in 1972. The images are intimate tokens of Roma’s life that feature his wife, son, neighbors and home in Brooklyn. 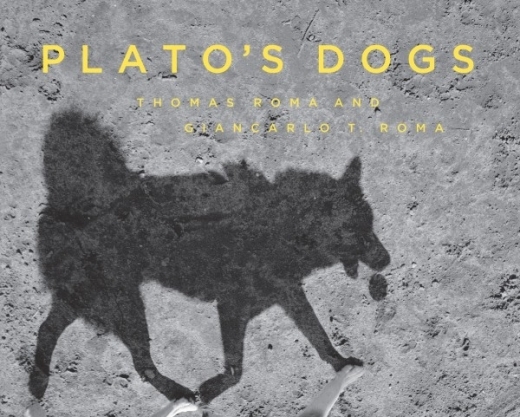 The exhibition launches the publication of the monograph Plato’s Dogs by powerHouse Books. Roma takes his photographs to understand how we shape and are shaped by the rituals of daily life. In Higher Ground, Roma portrays the trains’ ambience as well as the rotating cast of characters who ride them. In these candid portraits, the riders in Roma’s photographs seem to be suspended in time, caught in private moments in the most public of places. Whether dreamers or purposeful voyagers, the people in Roma’s Higher Ground remind us that we are all moving in the same direction, the train representing the forward motion of time. The Waters of our Time, first published in 2014, was concieved as an homage to Roy DeCarava and Langston Hughes’ book The Sweet Flypaper of Life published in 1955. This book, a joint effort between Roma and his son Giancarlo, includes 142 meticulously sequenced photographs which act as a visual biography of the artist. 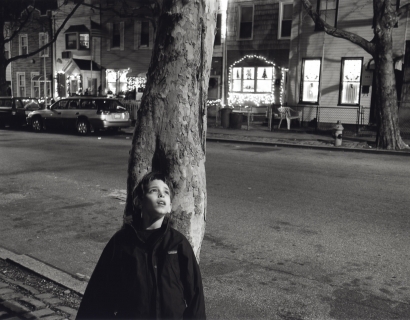 Roma invited his son Giancarlo to reflect on his photographs and write a text to accompany the images. The resulting narrative is a first-person recollection in the voice of an older woman who has spent her life in Brooklyn, like Roma himself. Roma’s work has appeared in one-person and group exhibitions internationally, including one-person shows at the Museum of Modern Art, the International Center of Photography, and the Wallach Gallery at Columbia University, NY. Roma’s work is held in numerous collections, including the Museum of Modern Art, New York, the San Francisco Museum of Modern Art, the Art Institute of Chicago, the Los Angeles County Museum of Art, and the Canadian Center for Architecture, Montreal. In 2003, he received a New York City Council Proclamation for contributions to the cultural and educational life of New York City, and in 2011 Roma received the Ellis Island Medal of Honor. He is a two-time recipient of Guggenheim Fellowships (1982 and 1991) and received a New York State Council for the Arts Fellowship in 1973. He has taught photography since 1983 at Yale, Fordham, Cooper Union, and The School of Visual Arts. In 1996, he became the founding Director of the Photography Program at Columbia University School of the Arts where he is a Professor of Art. Roma lives in Brooklyn with his wife Anna. 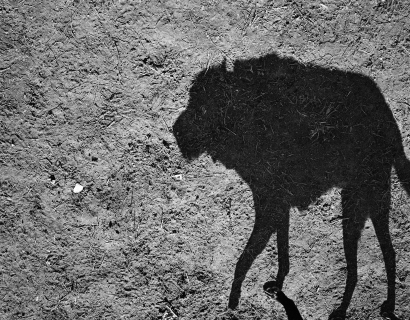 Loring Knoblauch reviews our current exhibition "Thomas Roma: The Plato's Dogs Trilogy". Stephanie Jin goes behind the scenes of professor Thomas Roma's current exhibition "The Platos Dogs Trilogy". Thomas Roma's unique photographic process is discussed on PDN's "Photo of the Day" blog. Carey Dunne states that Plato's Dogs touches on something deeper than just the cuteness of frolicking pets.